One mission. Help your business reach peak profits. 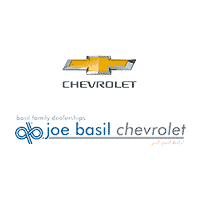 Joe Basil Chevrolet Commercial Trucks is Buffalo’s #1 Chevrolet Dealer. We are also the largest Chevrolet Commercial Truck Dealer in Western New York! We pride ourselves on our professional service and fair pricing. We currently have an extensive inventory list of new and used trucks and encourage you to stop by our location, browse our listings online or call us 716-795-4014 and speak to one of our representatives. We look forward to serving you and getting you into your next vehicle!